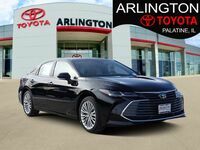 The Toyota Avalon is a full-size sedan that gives drivers everything they could possibly want and more. A roomy cabin, comfortable seats and a quiet and smooth ride. 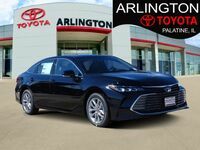 If you are in the market for a full-size sedan that portrays the essence of luxury and style, then do yourself a favor and check out the 2016 Toyota Avalon. In order to show how the Avalon stands up against its competition, we compared the 2016 Toyota Avalon vs 2016 Hyundai Azera. While the 2016 Hyundai Azera is only available in a base and Limited model, the 2016 Avalon is available in five trim levels, XLE, XLE Plus, XLE Premium, Touring and Limited. 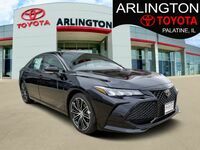 The Toyota Avalon is also offered in a hybrid model for those who would enjoy the Avalon styled luxury with more fuel efficiency. Like we said, the 2016 Avalon is luxurious and elegant. The interior features high-quality materials and the 7-inch touchscreen integrates perfectly into the dashboard. Toyota adds all of the wanted features to the 2016 Toyota Avalon including leather seats, Qi wireless charging, keyless entry, a sunroof and more. Plus Toyota offers a Toyota Safety Sense package which includes adaptive cruise control, lane departure warning system, lane-keeping assist, frontal collision warning, automatic pre-collision braking and automatic beam headlight control. While the 2016 Hyundai Azera offers some safety features to, the Avalon has more active safety features available and the available package brings them all to your Avalon. 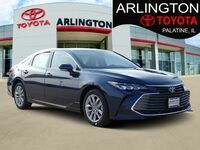 Come in to Arlington Toyota and take the 2016 Toyota Avalon for a test drive. You will be surprised at the smoothness and quietness of the ride and combined with the look and feel of the interior of the Avalon, it will be hard to resist. We are located in Palatine, IL just 5 minutes from Arlington Heights and 20 minutes from Schaumburg.